Calling all dudes! Here’s your chance to be a sugar daddy without tapping out your bank account. There’s no need to drop mortgage payments at clubs on bottle service, 10-course French dinners, or the shoe store. Instead steal their hearts and undergarments with your creativity and resourcefulness. Isn’t that why we Cook To Bang? I’m a sugar daddy that slangs sweet treats. Pass these out to one or all twelve of your sweetums. Each will be touched by your thoughtfulness and darling gesture. Who’s your daddy now, ladies? Preheat oven to 375°F/190°C. Sift together the flour, baking soda, and baking powder. Cream together the sugar and butter. Mix in the egg and vanilla extract. 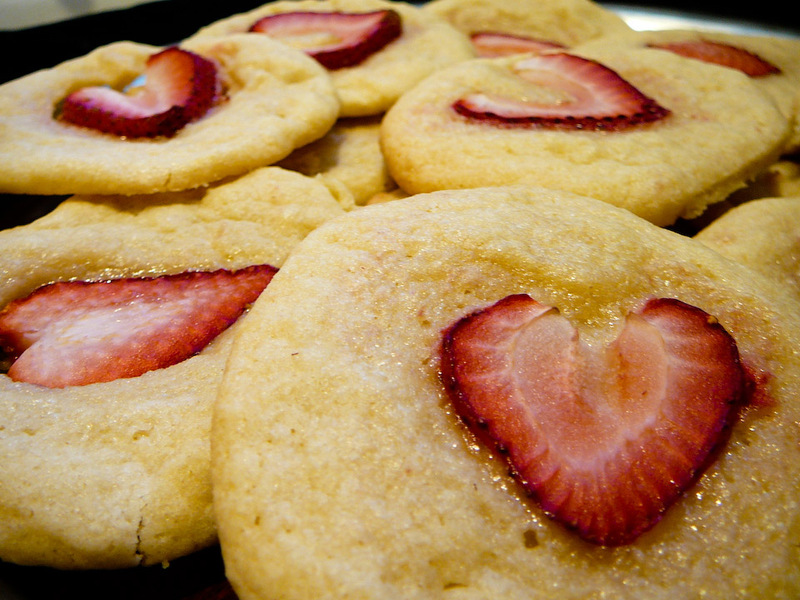 Beat in the flour mixture into a sugar cookie batter. Cut into the strawberry stems from both angles in a slight curve and slice the berries thinly to create fruity heart shapes. Grease your baking pan. Scoop out tablespoon-size cookie dough balls and lay out with enough space for them to grow. 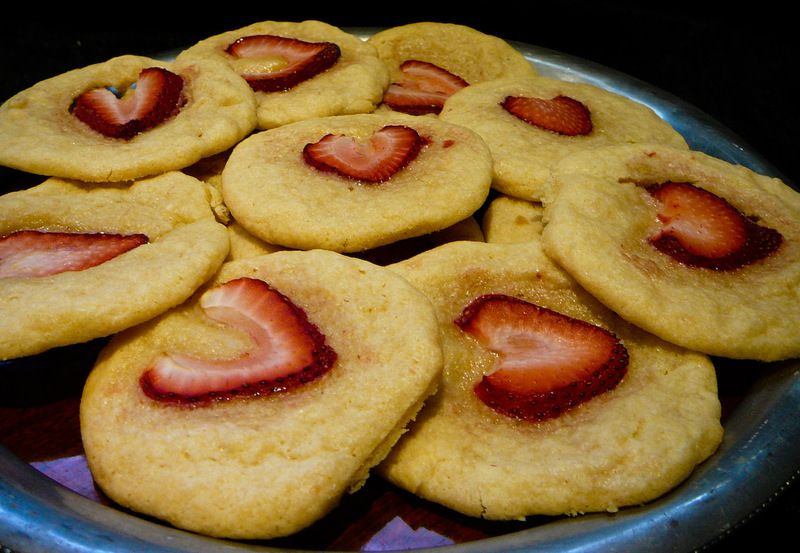 Place a strawberry slice onto each cookie. Throw in the oven and bake until the edges start to brown (approx 10 min). Remove from oven and allow to cool (approx 15 min). Serve with a bowl of milk with the person you love and/or lust after. 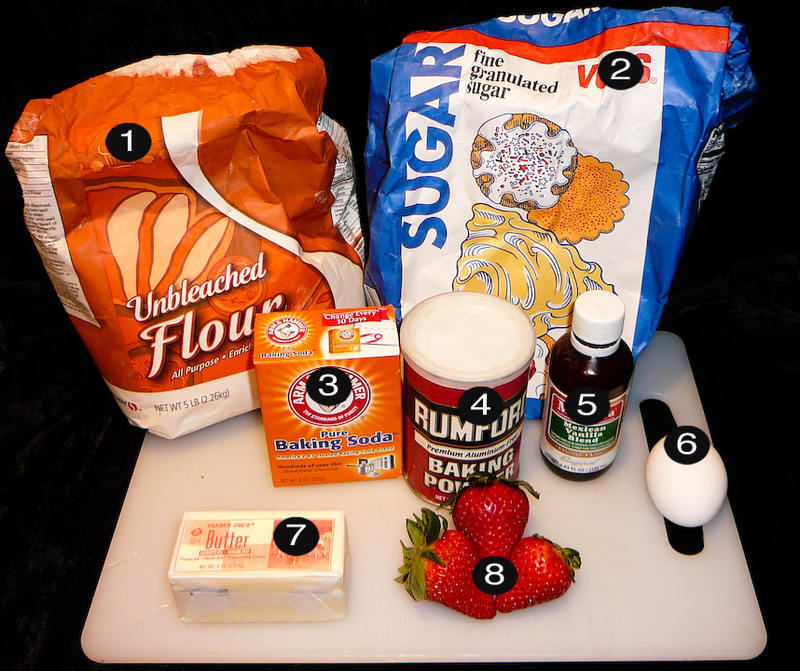 This entry was posted on Wednesday, February 13th, 2013 at 9:10 am and is filed under RECIPES, SWEET TEMPTATIONS, vegetarian. You can follow any responses to this entry through the RSS 2.0 feed. You can leave a response, or trackback from your own site. Dude, thanks for the awesome idea. Properly the situation was initially a excellent run whilst it lasted but yet possibly not a jolt to discover Usa Soccer lose at this particular state. We could try out once much more in 4 years.